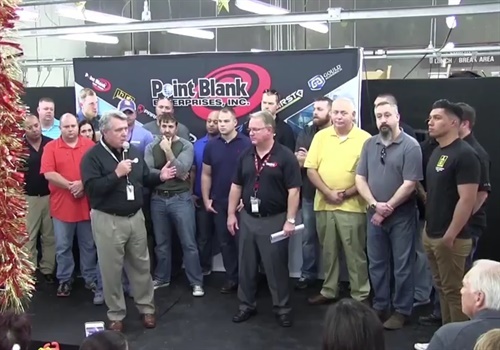 Point Blank honored 20 officers whose lives were saved by Point Blank body armor. The company's annual Saves Recognition Event was held at its Pompano Beach, FL, manufacturing headquarters Monday. "These Officers represent the Best of the Best and truly exemplify bravery, strength, and commitment to excellence," the company posted on Facebook. "We are proud that our body armor saved their lives and allowed them to return safely home to their families. God bless our Protectors!"